Love torrent and ttorrent lite on your PC and laptops? Did you always wish that that your smart phone would be capable enough of supporting torrents the same way? Well, your wish just turned into reality. With tTorrent Lite from tagsoft you can download torrents directly to your android platform smart phone or tablet. It is as easy as you can imagine, just a few clicks and torrent files get downloaded to your mobile or other such device. Download movies, seasons, songs, etc directly onto your phone. No hassles of first downloading on the PC and then shifting it to your phone. You don’t require to waste time and excess battery that way. You will not be limited to one torrent at a time. Multiple torrent downloading is one awe inspiring feature this app offers and if you have good internet speed, it will not affect your surfing operation. Download this must have app to get the best of the internet on your phone. An easy searching mechanism that helps you traverses through torrents. Multiple torrents downloading and queuing offered. Runs on the WiFi, WiMAX mode. You can limit the upload and download speed however it suits you. Is supported by RSS newsfeed. This means files published in RSS feeds are downloaded automatically. UPnP and NAT-PMP support is there with the app. IP filtering support makes it safe to use. SOCKS and HTTP (Hypertext Transfer Protocol) proxy support. Can edit tracker list of torrents. There is possibility to translate the app to your language or you can solve the problem of bug. There are two versions of this app. One is, lite, which is add supported and has a maximum download speed of 250KB per second. The other is the, PRO version, which has no advertisements and no download limit whatsoever. The official publisher of the Pro version is 3D Magic Kft. The latest version offers you fixed kat.ph. BitSnoop has been added to the search plug in which makes the search even easier. A new scan feature for newly added torrents helps you add torrents remotely. Keywords can be made use in the RSS feed. That is only matching items will be picked up and downloaded automatically. The upload limit has no effect on the download speed. 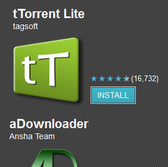 Summary: tTorrent Lite is a one must have app, to meet all your entertainment downloading demands. Be it a movie! Be it the latest episodes of a must watch serial or just a music video! All downloads are of top notch quality. 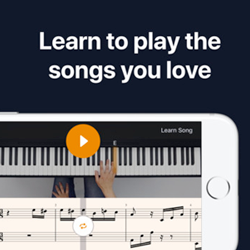 Good: Almost everything is good about this app! Good download speed! Good quality torrents! 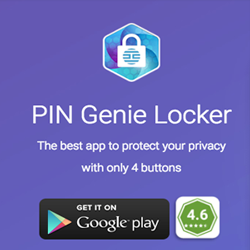 The app is easy to download and the version differs depending on your smart phone. All requires supports are there with the app to make it more convenient. Bad: There is a minor glitch in the drop down menu in the beginning, of white items being displayed on a white background. That apart it is a must have app for your android phone.